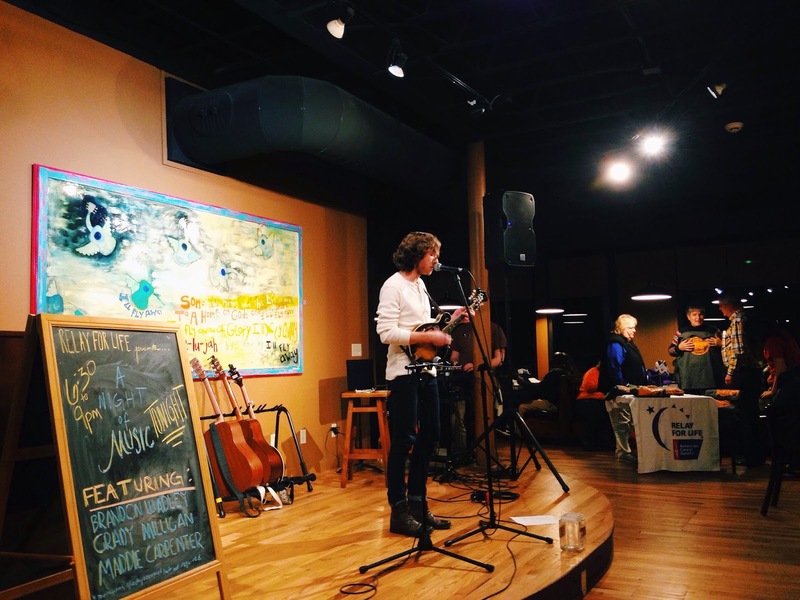 Last night was the Relay for Life Benefit Concert in Maryville, TN at Vienna Coffee Co. 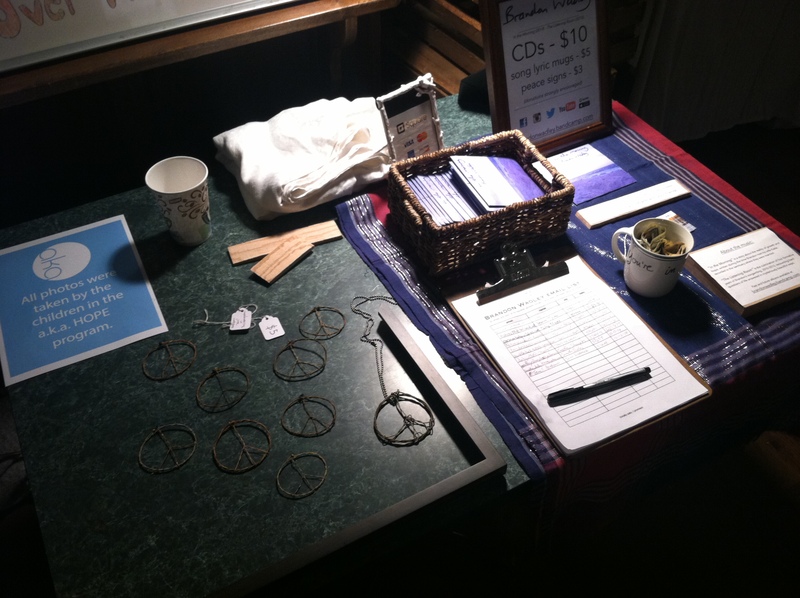 The event gathered a huge amount of people and supporters, raising between $500-$600 in donations for cancer research. Although the music was in the background, community and life were in the foreground, so it was a success. In case you've never heard of it, Vienna is Maryville's pride and joy, a hub for the vivacity of the city's life. Definitely the best thing to happen to Maryville in the recent decade. Thank you to everyone who attended! Thank you everyone who attended the show last night at Bonlife Coffee in Cleveland. It was a much awaited reunion of many of the songs with their place of inspiration and it was basically magic. You are all very special to me and your support is incredible. Keeping it classy, Clevegas! Second show of the year will be in Cleveland, TN at Bonlife Coffee at 6PM. I spent my first two years of college in Cleveland at Lee University and it was an extremely growing time for me. I had a lot of questions about why I was there and what I was doing with my life, and amidst various frustrations with the "Christian" culture I found there, I was in a place of decision. I moved away from Cleveland in 2012 and moved to Johnson City, and since then I've had time to reflect on the years I spent at Lee. However difficult and straining they were, I still find places of beauty that I know God put in place for me to learn while I was there. In retrospect it was a really beautiful time, but I ended up wishing it away in place of something I would be able to predict and control. It wasn't what God had for me to control. In fact, moving away was good in many ways because in Johnson City I met my wife, got involved with RUF, am now working at the church with the youth, and am having the opportunity to finish up school (that at more than one point thought I never would.) Honestly being in Cleveland again after having time away has always been an interesting mix of sadness and looking ahead in joy, but I truly miss my friends back at Lee the most. This concert is going to be cathartic because many of the songs I currently sing and have recorded were written and some even recorded at that school, in my dorm room, practice rooms, buildings, etc. There's something about a song being reunited with its birthplace that's important to pay attention to, because those are places we find the most direct contact with the heart of the music. Good news! I'm finally on iTunes and I'm pretty dang close ($200 away) to my goal for fundraising for remastering my albums! On the flip side, remember iTunes leaves only 70% of profit for sales and to support the artist, it's best to buy from their music store, where the artist receives 100% of the profit and you can also donate more. Friendly reminder! Forgot to mention, I'm tuning pianos to raise money to have my latest two albums professionally mastered. If you have a piano or know of someone who does, contact me and I'd be glad to tune it for you. 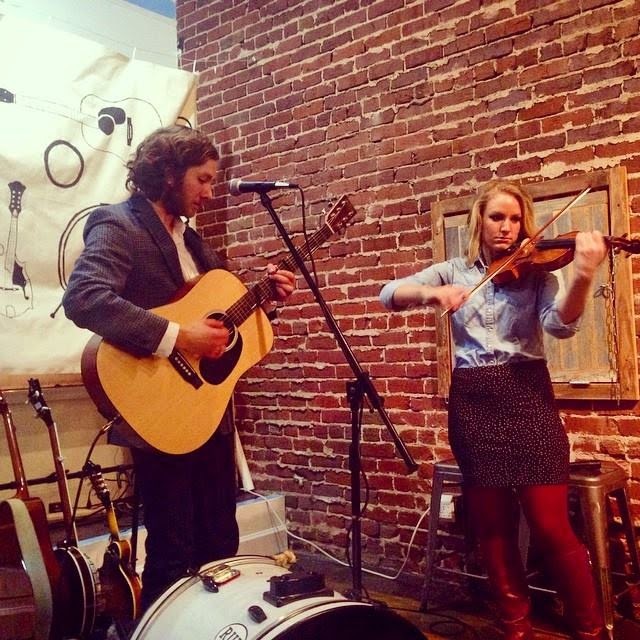 New official website, tale of the Willow Tree Art Vendetta, the WDVX radio show, tour dates, and 2014 recap. First of all, I have launched my official website! 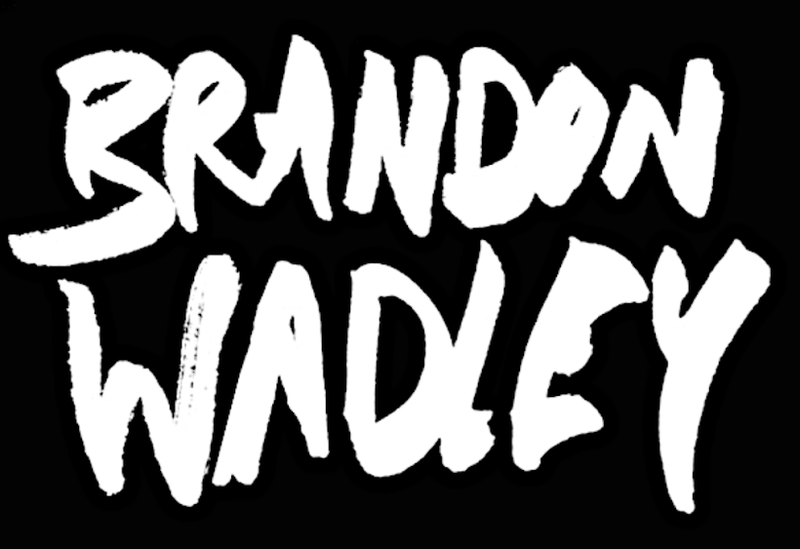 It's www.brandonwadley.com where you can find a current update of concerts, photos, video, a biography, and much more. Please share it with you friends as it is the mothership of all things internet for the music. Visit here! 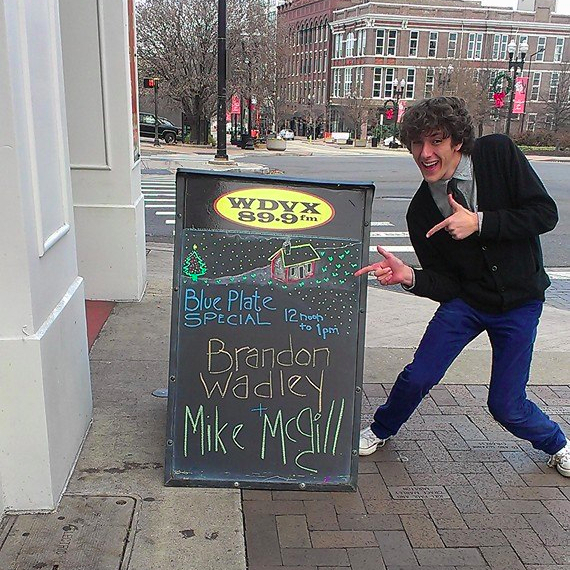 On December 18, 2014, I had the privilege to sing on the 89.9FM WDVX Blue Plate Special in Knoxville, TN. Joining me were my wife Katie and good friend Chris Hickman, and it was a blast. Super weird singing to a live studio audience, but it was fun nonetheless. You can hear every gritty detail of the live performance on this double platinum recording. Later that evening, I participated in Vienna Coffee Co.'s own 3rd(?) Ugly Christmas Sweater Party and Concert with Grady Milligan and many more unique local musicians. Always good being in Maryville. Since a few days before Christmas, I have been in the process of remixing 2013's "The Listening Room" and sending it off to a professional mastering engineer to be re-released in the next few weeks. I think releasing it in its definitive form will be cathartic in many ways. The same may happen to "In the Morning" as well. Everyone on this email list and whoever bought "The Listening Room" online in its original form will be given a free download of the new edition, so keep posted! I'll send a quick e-mail out when that is underway for release. 2015 has already started out with a bang... and a collapsed table, an arrest, and the works. 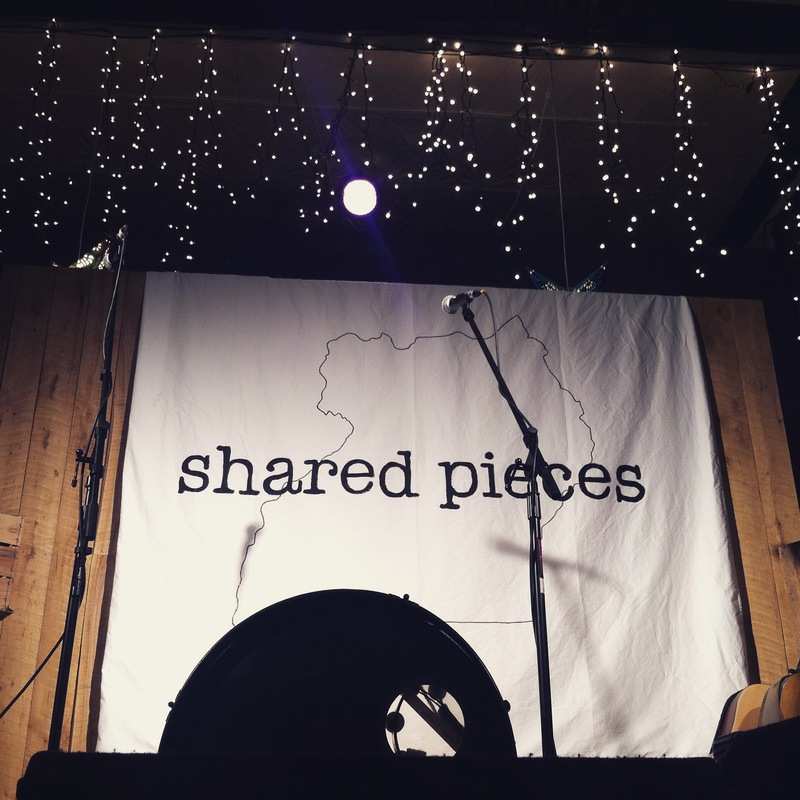 January 6, 2015 marked the exhibition of the photo gallery "Shared Pieces," curated by the extremely talented Anna Hedges and Katie Snyder, and was the first concert of my 2015 tour. Anna and Katie went to Uganda to teach refugee and orphaned children about creating art and artistic freedom. Maybe a flighty endeavor with the language barrier and cultural differences, but the result was amazing. The photoset is comprised of photos taken solely by the children themselves and it turned out to be a riveting display about the inside lives of Ugandan children. The event was a fundraiser to help support an organization called AKA Hope, organized by a couple who have lived in Uganda and are now moving to Colorado but hope to carry on the organization. The show was beautiful and I was glad to design the backdrop banner^ and provide the music. 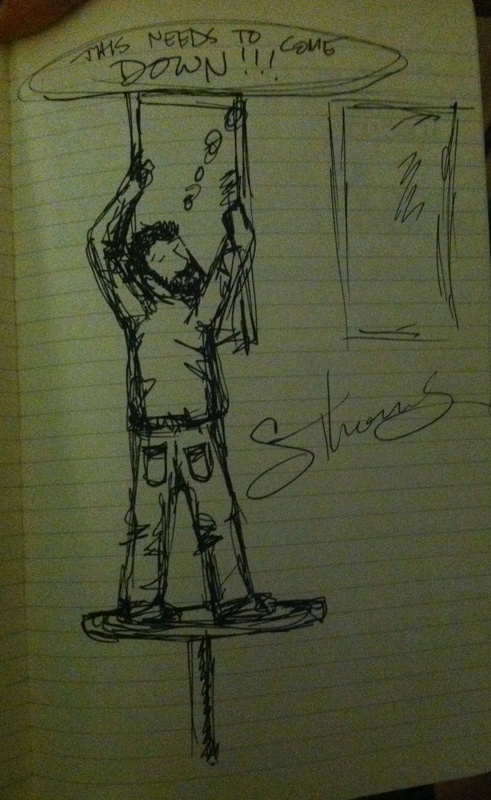 HOWEVER, in the middle "Autumn Song," after the second verse, a large bearded man walked into the room, climbed a table near the wall, climbed up onto the sound booth, saying, "This needs to come down." He proceeded to forcibly pull down THREE $1000 paintings from the wall about 20 feet off the ground until the table he was standing on gave way and he FELL AND FLIPPED MY MERCH TABLE NOT EVEN KIDDING. I leapt from the stage with the 8-year-old boy in me ready to tackle someone and while several men jeered him on for "being so dumb for doing that, you're so stupid," a man escorted him out. (Unrelated to the parody bio written for me in 2012.) To avoid the tension left in the room, I jumped back on stage, made a couple jokes, and kept on playing. Collateral damage: 4 shattered mugs and donations jar from the merch table. Thankfully no one was hurt, the massive 10' loose rusted sheet metal wasn't pulled down from the wall, and the paintings are generally fine. The (quite drunk) man was apparently harassing the owners of the venue, didn't get what he wanted, and took out his wrath on the paintings. He was arrested and the venue is pressing charges. All in all, the show was a success and a ton of fun. I'll always have a good story to tell in between songs now. The only mug left over? The one that says "You're in good hands." No coincidence. 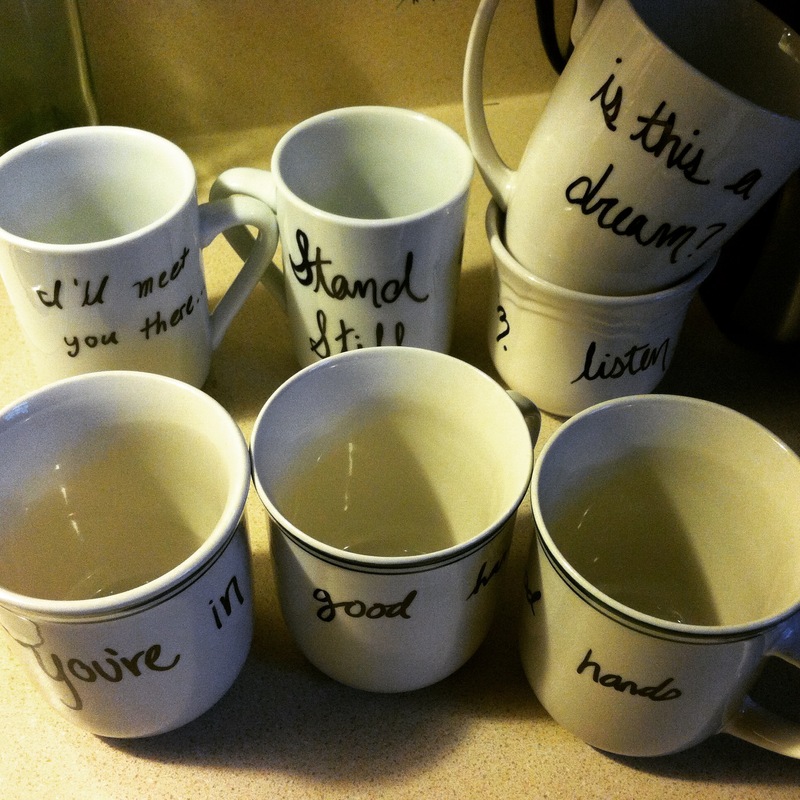 Katie and I have made a collection of mugs (which were mostly all destroyed, see above) that we're selling at shows. I mean, you can wear a t-shirt once a week, but a mug you can use every day! We're making more, so f you have a song lyric you want specifically, contact me and I'll be glad to make one for you. At a possibly fully intact merch table near you. This past year was amazing. Katie and I got married, released "In the Morning," we started this email list, and am on my way to graduating university and seeing where the music will go after that. I'm hopeful and I believe the hard work and steps of faith are going to reach people with the music in beautiful ways. This year could not have been possible musically without all of you who came to shows, bought merchandise, made me feel nice by "liking" things, and giving wonderful encouragement. Thank you. Tuesday, January 6, 2015 at 6:30PM - "Shared Pieces"
This coming Tuesday at the Willow Tree in Johnson City, TN there is "a special photo exhibition featuring the work of orphans & refugees from the Nagaru Slums in southern Uganda, Africa. Curated by Anna Anderson Hedges & Katie Snyder in partnership with Aka Hope." I'm singing at this event at 6:30PM. Please come out and support a wonderful cause and say hey! Remastered versions of "The Listening Room" and "In the Morning" coming soon! That's right. My recordings, despite my best efforts, are getting a chance to be clearer and fuller-sounding than ever. With the help of various friends in the last five years, I've recorded several (eight) albums with mainly a mic or two and the rest was edited and "mastered" on Garageband by myself. However, 2014 allowed me to earn enough playing shows and selling merchandise to fund the remastering of my albums. I am so excited. "The Listening Room" is coming first, as it is in the most need of help. The mixing process is almost complete and will be submitted to the mastering engineer momentarily, hopefully to be released to you (and the world) by the end of the month. Good things happening very soon! Also, if you haven't signed up for the email newsletter (to your right), DO IT. That way I can keep in contact with you, my beautiful fans. There you go. Thanks for being awesome. This is my shot at being technologically up to date. It is 2015, after all. Here will reside the mothership of links, dates, touring things, and so on. 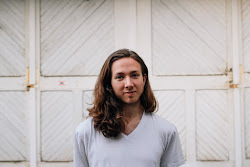 Please share this site and help me get the music I am so diligently poring over out into the world and into fortunate souls' ears. You are the greatest for visiting.